What does it mean to "pray without ceasing"? How do I know I'm praying in God's will? Readers will encounter not only clear biblical teaching on prayer, but also practical insight from classic and contemporary writers. 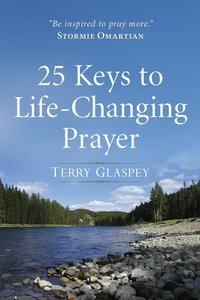 For anyone whose prayer life could stand a boost, 25 Keys to Life-Changing Prayer is an invaluable aid. About "25 Keys to Life-Changing Prayer"